The Phunky Foods Programme is a recent initiative in school which delivers a whole-school approach to healthy lifestyles and to engage with all pupils, and their families, in promoting tangible health behaviour changes in a fun, lively and positive manner. We are using the programme to teach our children key healthy eating & physical activity messages through art, drama, music, play and hands-on food experience. 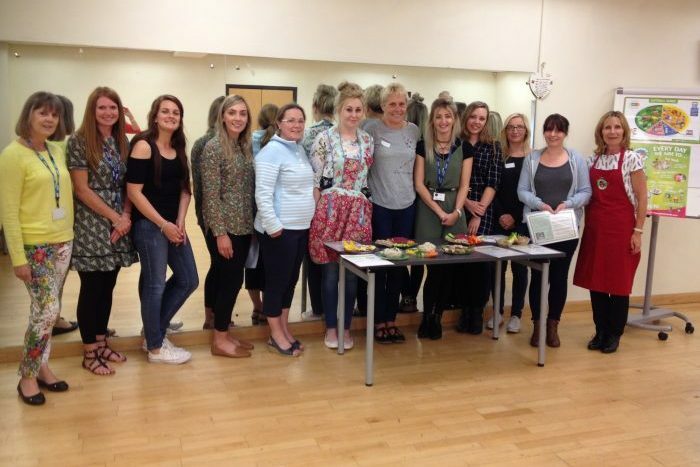 Phunky Foods two local Engagement and Development Coordinators, Gill and Harriet, trained up school staff to get them prepared and confident to deliver the PhunkyFoods Programme in 22 primary schools across the region from September 2017 . They welcomed Annie Brooks from the NHS Dental Oral health Team. Miss Shore, who attended the training, is our Phunky Food leader in school.